Round neck jumper by Laura Biagiotti Donna. Superbly soft luxury knitwear in premium quality! A knitted work of art made of 2-ply cashmere exhibiting excellent craftsmanship. 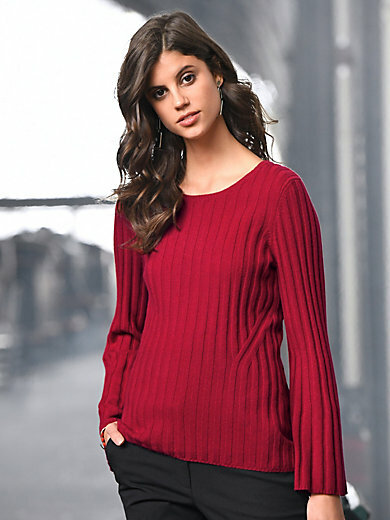 On-trend, slightly flared style with wide ribbing, refined waist and slightly flared trumpet sleeves. 100% cashmere. Length approx. 25 ins. Hand wash.